Today is James Maitland Stewart’s birthday, and in case you didn’t know, the Retro Set is a huge Stewart fan. (Don’t believe us? Check out his tag.) 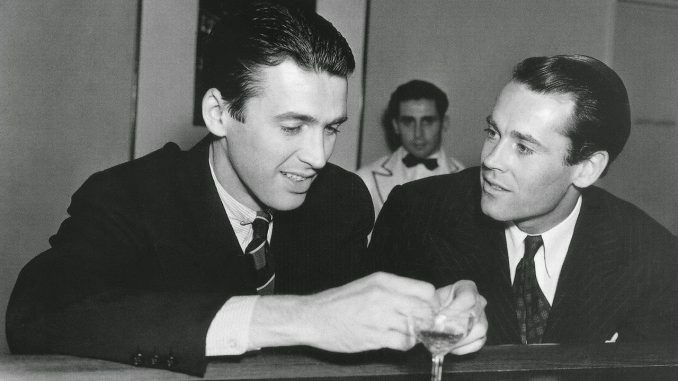 And in celebration of the birthday boy (it’s his 107th), we decided to not focus on his glittering film career but instead on a wonderful aspect of his personal life: his lifelong bromance with best friend Henry Fonda. Well said, Mr. Welles, as usual. And really, how could they not have been besties? 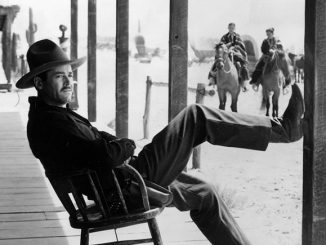 They were the two men who, perhaps more than any other actors of the post WWI/pre-WWII generation, offered up a unique interpretation of the American ideal of masculinity. On paper they ticked all the boxes: Six feet plus of handsome integrity and honesty served up with a heaping helping of that flat, Heartland cadence. (Jimmy hailed from Indiana, Hank from Nebraska.) 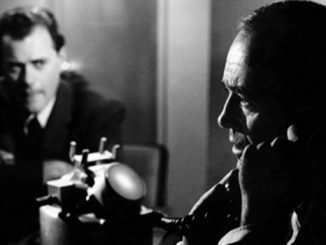 And yet in their roles, they rarely were conclusive sinners or saints (killers and obsessive manics were as easy for them as were principled presidents and idealistic politicians); there was a furtiveness to their approach to American idealism—hints of shadowy corners—which is likely what made them so successful (and important) to post-war cinema. Jimmy and Hank may have been as American as apple pie, but it’s the fact that the two men were as different as night and day, each with their own deep imperfections, is what makes their firm, lifelong friendship such a storied one. The two met as aspiring actors doing summer stock (the University Players) in Cape Cod. When the troupe moved to New York City, Jimmy and Hank became roomies and fast friends. And when Hank went Hollywood, Jimmy was quick to follow. They disagreed often on fundamental issues, but worked hard at their friendship and loved each other deeply; their friendship ending only when Hank died in 1982. 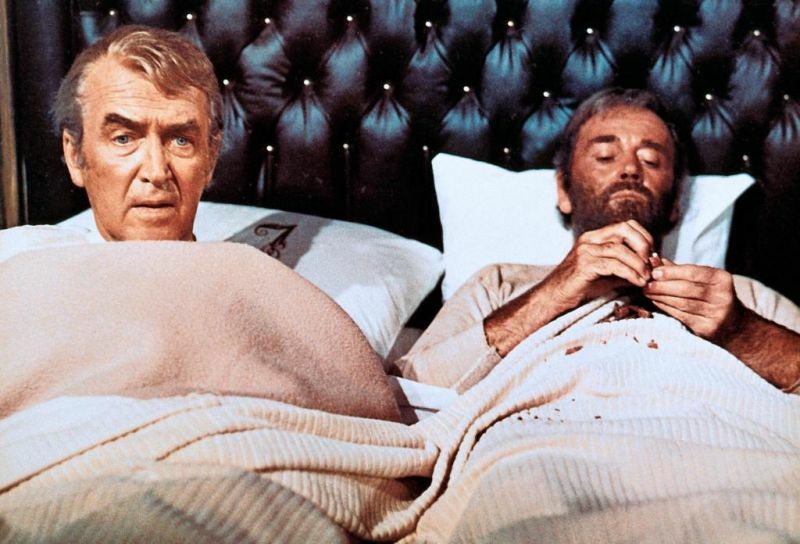 For your consideration, here are five reasons the Jimmy Stewart/Henry Fonda friendship is a total life-ruiner and will make you want to cry into a Kleenex and hug a kitten. #1: The time Hank Fonda picked up Jimmy Stewart at the train station and the first thing he asked him about was their model airplane. 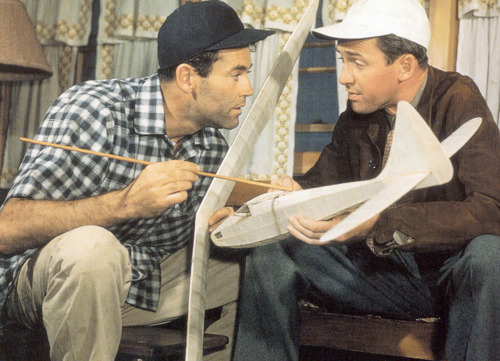 Yeah, you read that right: Jimmy and Hank built model airplanes. Together. 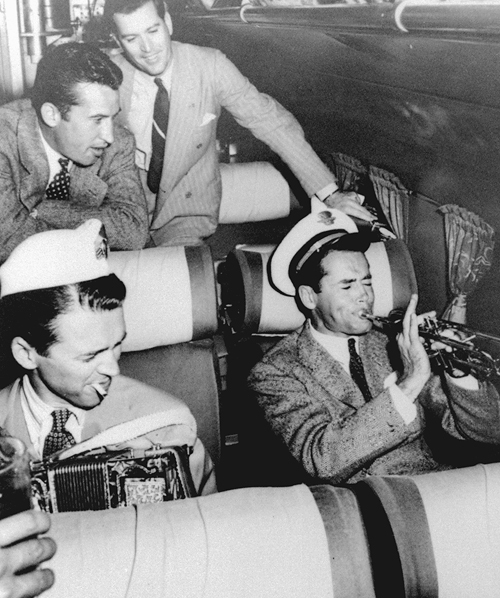 Hank was waiting at the train station when Jimmy first arrived in Hollywood and, after embracing his friend and helping him with his luggage, inquired about their model airplane “Bomber.” It was a hobby they’d share well into their later years. This love of aviation manifested itself well before Stewart famously enlisting in the Army Air Corp: in 1935, six years before enlisting in WWII, he earned a private pilot certificate to fly to visit his family. #2: The time Jimmy and Hank worked past their political differences. Fonda, an outspoken liberal, was a vocal oppose of the HUAC and signed his name on a document (along with Bogie, Bacall, and more) effectively giving the committee the middle finger. The staunchly conservative Republican Stewart, whose ‘mind your own business’ approach to life and politics, urged Hank not to do it for fear of the effects on Fonda’s career. Their disagreement was vehement, but both men chose to work past it rather than let it ruin their friendship. The Simon and Garfunkel lyrics read “Old friends, sat on their park bench like bookends….winter companions, the old men…how terribly strange to be 70.” And it is exactly Jimmy in Hank in 1975. At the time, they both happened to be working on the stage in London. 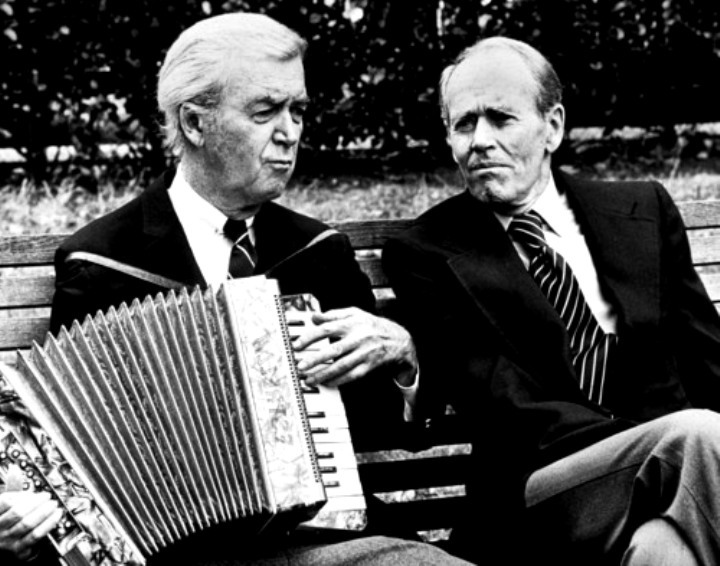 The (nearly) septuagenarians used to take quiet walks in the park, and People magazine photographed one such sojourn in Grosvenor Square; the two old men quiet and reflective, but still feisty, with Jimmy’s trusty accordion in tow. #4: The Thursday Night Beer Club. 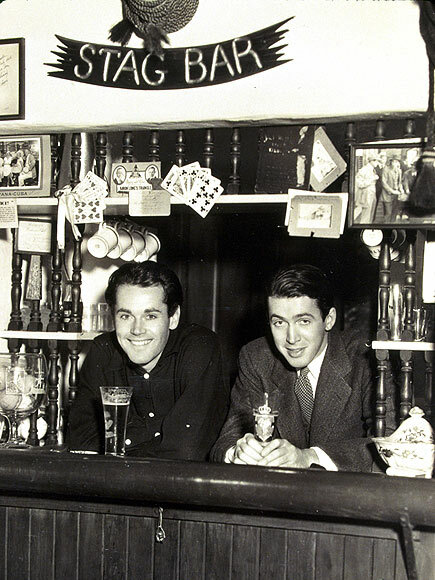 Jimmy and Hank were charter members of the “Thursday Night Beer Club.” For $1, members were entitled to steak and beer at the culinary perils of Hank and other members of the University Players. (Who included, by the way, a young Burgess Meredith.) The “all you can eat for a buck” made their small 40th Street basement establishment quite popular with the acting crowd, and it was not uncommon to see the likes of Helen Hayes and Ruth Gordon. I cannot think of a better way to spend $1. #5: The Time Jimmy and Hank sang for money because they couldn’t afford their $35 rent. #6: The CHEYENNE SOCIAL CLUB. Wasn’t Jimmy from Indiana, Pennsylvania? You’re exactly right! Thanks for catching our goof!